[Blind Gossip] This singer is one of the coolest musicians around. He comes from a successful family, has made plenty of money on his own, has won at least one Grammy Award, and has been in relationships with several famous women. He’s got it all. Good looks. Fame. Awards. Beautiful women. Money. Soap. A washing machine. So why is his personal hygiene so bad? You could smell him from ten feet away. He smelled like a homeless person. He was wearing these filthy leather pants that he must have been wearing for days. The worst was that you could see his crack from the back… and it was all dirty and crusty! Again, this is a Grammy Award winner who is rich and famous! How does he justify smelling this bad? Sometimes men don’t notice when their manly aroma and crustiness have drifted out of control. 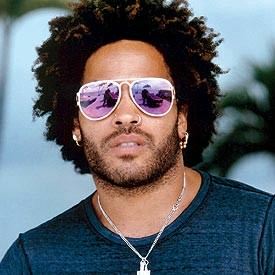 But eight-time Grammy winner Lenny Kravitz has always had women in his life. Did they ever notice his lack of personal hygiene? Lisa Bonet is a bit hippy-dippy herself. She was also putting up with Bill Cosby at the same time she was dating Kravitz, so Lenny probably seemed less dirty by comparison. Then Kravitz was with Vanessa Paradis – Johnny Depp’s ex – for several years. Since she put up with Depp’s funkiness, too, we definitely could believe that hygiene issue didn’t matter to her. There were a few models in the mix, but then there was… Nicole Kidman! You just know that her life with Tom Cruise was a starched-and-ironed tighty whitey paradise! So how did Lenny get away with such behavior around Nicole Kidman? Do you think that he temporarily cleaned up his body and his wardrobe? Or do you think that when she and Tom split, Nicole’s bohemian side kicked in and she just declared… “Opposite!”? After Nicole Kidman, Kravitz dated Michelle Rodriguez, queen of messy behavior. OK. We may have just found an explanation for the slippage back into Funky Town. 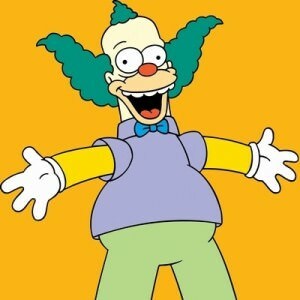 In any case, Lenny, we hope you clean it up a little before you appear with Katy Perry at The Superbowl! Since we want to protect the store employee, we will simply say that this occurred in a retail store in one of those trendy shopping areas of Los Angeles. Congratulations to Princess Tiff for being first with the correct answer! And kudos to those of you who picked up on the “Again” and “Justify (my love)” clues! 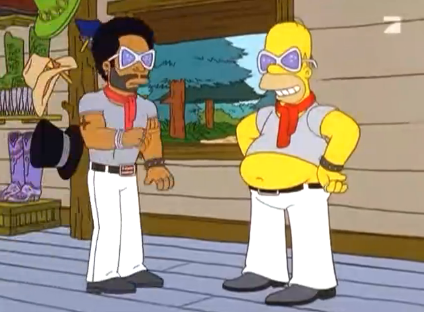 Do you remember when Lenny Kravitz was on The Simpsons? Have a TIP for Blind Gossip? Click here!